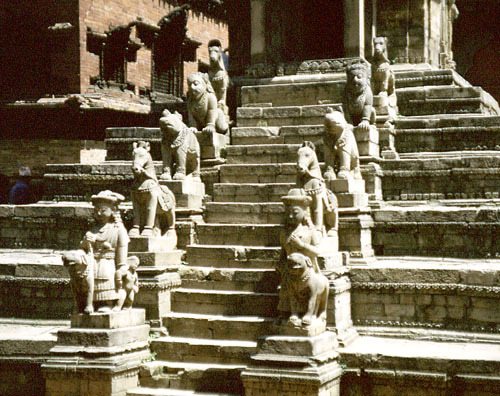 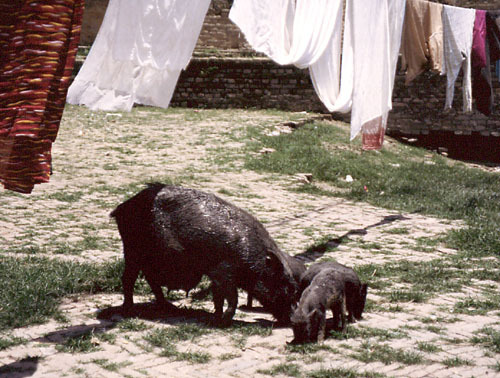 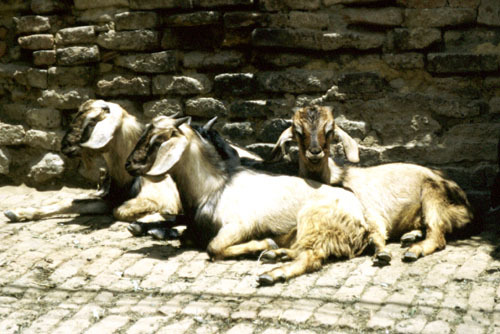 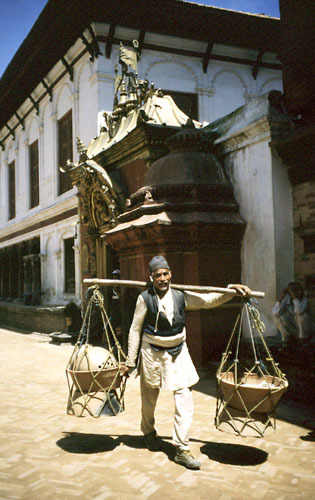 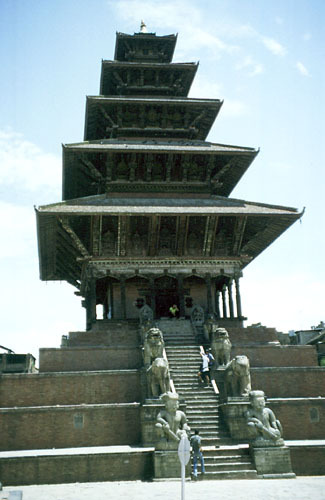 In the eastern valley of Kathmandu, is Bhaktapur, Nepals most perfectly preserved city. 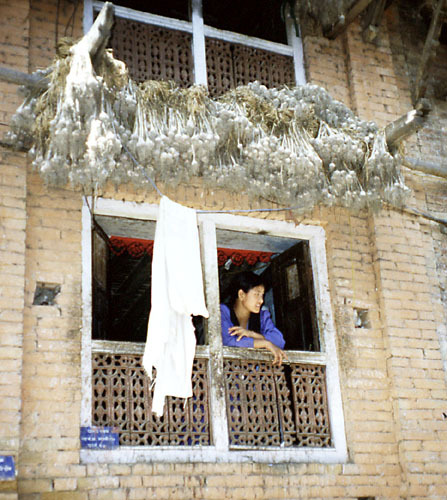 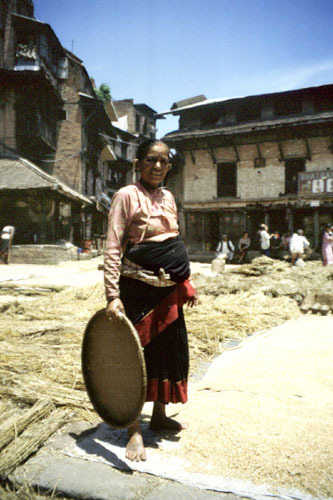 Beneath garlic drying in the heat of the summer sun, this Nepalese woman greets visitors to Bhaktapur. 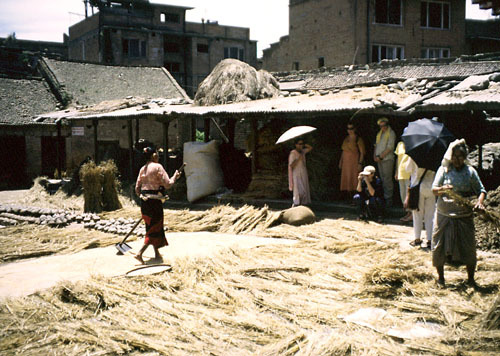 Wheat and unglazed pottery are 2 of the main sources of income for this city. 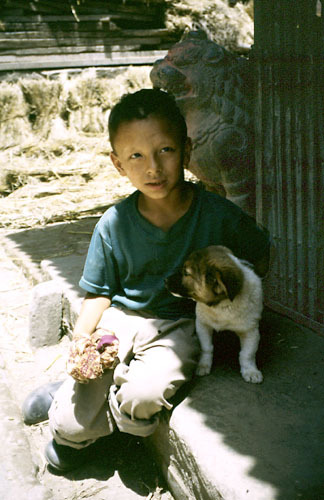 A Tibetan community supports a School of artists for Thangka painting. 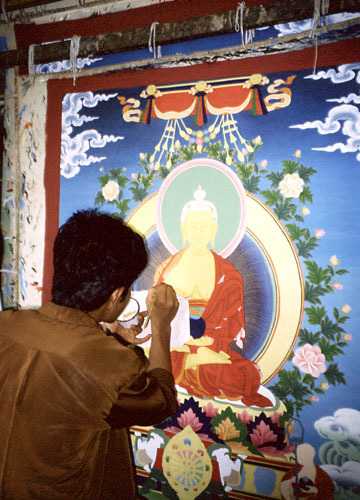 A Thangka is an expression of religious truths, not an opportunity for artistic license. 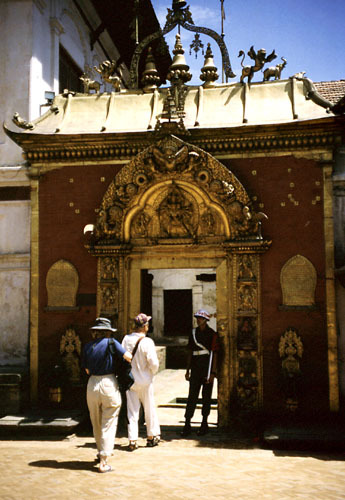 There are 4 main genres of Thangka: the Wheel of Life, Buddha's Life Story, Mandala, and Thangkas depiciting tantric deities, either benign or menancing.